For a man who equates his life to that of a retiree, Stephen Elliott has had a cyclonic year. Since publishing The Adderall Diaries in late 2009, Elliott has gone on a 33-city house-to-house reading tour, created his own iPad application, formed a lending library for 400 readers, and is currently adapting his book into a screenplay. All the while he has continued to serve as Editor-in-Chief of The Rumpus, his popular online literary magazine, and every day of the week he sends a personal email to nearly 5,000 subscribers. Elliott, 38, lives in a writer’s co-op in San Francisco’s Mission Hill District, sharing a communal bathroom and bringing in about $25,000 a year. He has no dependents and no employers, but takes occasional lecturing gigs and makes a trickle of income from book sales and The Rumpus. If either film does make it all the way, Elliott is in line for a financial windfall. He says that with the money, he would hire full-time technical support for The Rumpus, which he launched in January, 2009. Updating at least ten times daily, the site features regular columns by writers like Steve Almond and Rick Moody, book reviews, artwork, interviews, and a blog that details literary events around San Francisco and New York City. Rhodes-Pitts was devastated, according to Elliott, but if she follows his dictum, she’ll find new ways to sell a few books on her own. 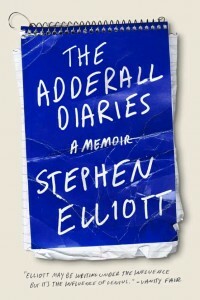 Before the release of The Adderall Diaries, Elliott created a “Lending Library” wherein he sent numerous free galleys to readers on the condition that each person within a week mail the book to the next reader on the list. Nearly 400 people signed up. After the book’s release, he went on what he calls a “D.I.Y. Tour” in which he gave readings and answered questions at 75 stores and houses in 33 cities. Elliott funded most of the tour himself, right down to the books he sold, which he bought wholesale from the publisher. Often he would give a reading at a home, chat with the attendees into the early-morning hours, and then sleep on a stranger’s couch before jetting out to the next event. Elliott’s latest idea in D.I.Y. marketing is the iPad application of The Adderall Diaries. The app comes with a cover graphic — a feature missing from most e-readers — and contains interactive extras, like a discussion board and RSS feed. Elliott created the application to address what he considered shortcomings in the original e-book published by Macmillan which lacked a cover and interrupted the reading experience by including links and videos embedded in the text. (The extras in Elliott’s self-produced app are amended to the text, like the “bonus material” on a DVD). As long as Elliott continues to hold himself accountable for their fate, they should stay in print. David Duhr is Fiction Editor for Fringe Magazine and a freelance writer. 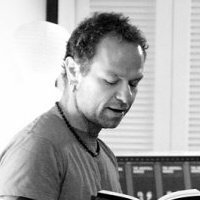 He is also co-founder and instructor at WriteByNight (www.writebynight.net), a writers’ service in Austin, TX. DISCUSS: Is Traditional Book Marketing Too Boring? David Duhr is a fiction editor and copy editor at The Texas Observer, and he's the co-founder of WriteByNight, which offers editorial services to authors.